Welcome to the official National Mortgage Assistance Center Website. NMAC assists troubled homeowners every day through our national network of foreclosure prevention attorneys. Get the professional help you need to keep your home and have peace of mind. Just as the government is rescuing banks, foreclosure assistance is also available to you if you can't afford to pay your mortgage. Our national network of foreclosure prevention specialists will work hard on your behalf and negotiate directly with your Bank to lower your monthly payments to avoid foreclosure. The National Mortgage Assistance Center (NMAC) educates the general public and refers your contact information, at no cost to you, to foreclosure prevention law firms to evaluate qualifications for a mortgage payment reduction. NMAC is not a non-profit organization and not affiliated or approved with any government program. By applying with NMAC does not guarantee a loan modification or foreclosure prevention, and the lender may not approve to change your loan. Do not transfer or surrender property titles at a below-market price to anyone. Do not bypass the lender and make payments directly anyone else. It is not necessary to pay a third party to arrange for a loan modification or other form of forbearance from your mortgage lender or servicer. 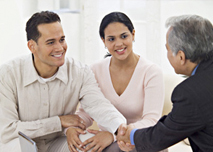 You may call your lender directly to ask for a change in your loan terms. Nonprofit housing counseling agencies also offer these and other forms of borrower assistance free of charge. A list of nonprofit housing counseling agencies approved by the United States Department of Housing and Urban Development (HUD) is available from your local HUD office or by visiting www.hud.gov.